Whether or not your life has been directly touched by gun violence, it's likely you've endured that seemingly endless loop in which the school shootings, the news reports, the mourning and the varied responses from politicians and protesters play on repeat. Once the fervor around one incident die down, you're swept back in again with yet another headline. The Parkland students behind March for Our Lives teamed up with pop artist Kesha, her brother Sage Sebert, McCann New York and Mill+ to bring this phenomenon to light in a powerful new music video, "The Most Vicious Cycle," aimed at getting viewers to vote in the midterms on Nov. 6. 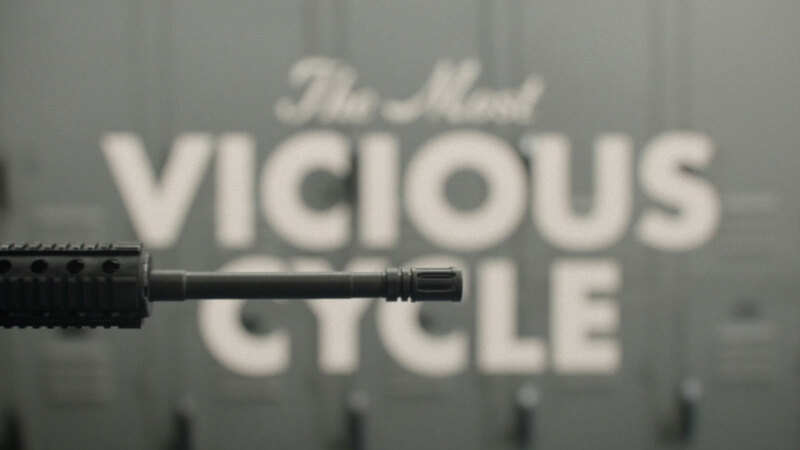 Airing hourly today on MTV and MTVu, it leverages the now-familiar storytelling device of a Rube Goldberg machine to illustrate the seemingly hopeless chain of events around school shootings and gun violence.